If you are a teacher or an online course creator, you will probably know that before teaching anything, you need to spend several years and take a lot of trial to learn and plan the content for your courses. After taking time and effort to create courses, you’re proud of your content and confident that there will be students enrolling to your course. However, successfully creating an online course doesn’t mean that all students can come to you and sign up for it. Besides, the courses are online which means that your students can come from anywhere in the world if they have internet connection. Therefore, you couldn’t meet each targeted audience to introduce them about how amazing your course is, why they should learn with your course and convince them to sign up for it. Even if you could find someone you can talk with, I am pretty sure that you don’t want to spend too much time on it. Tele-sale is also a hardly good method to sell your course. But, you are a teacher, your strength is teaching, not selling. The answer is: “creating a landing page to drive audience to sign up for your courses”. 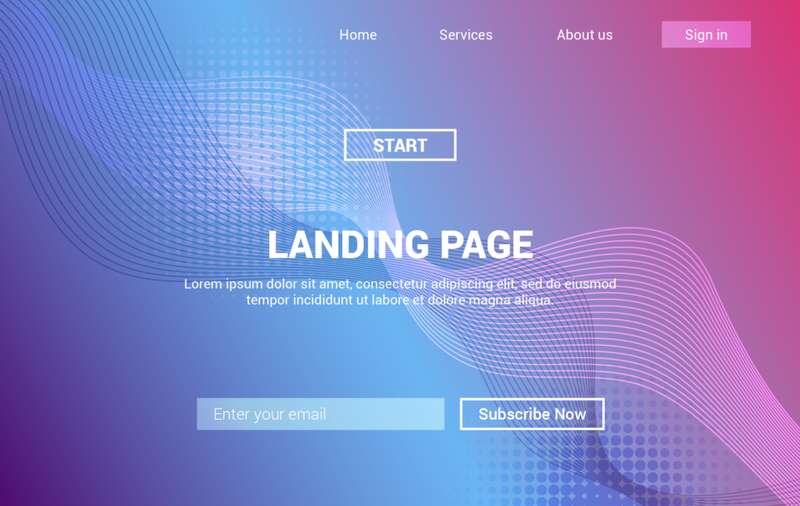 Landing page is increasingly playing an important role in introducing products, events, media campaigns and creating a first impression with potential customers. But to create a beautiful landing page and run well is not simple. In this article, I will show you what you want to know when building a landing page for your online courses. Would you sell a course the same way with selling a dress? Of course not. They are definitely two different types of products with different benefits. In the landing page, you need to use vocabulary that can emphasize the benefits, characteristics of the object you want to sell. Specifically, an online course sales page (landing page for online courses) should show the description of your courses, benefits that students can get, length, tutor, learning outcome, etc. and other information. But the most important thing is that the content can drive and motivate audience to sign up for it. This is the page that your future students will visit before making any decision to enroll in your online courses or not. In this article, it’s not important to know how the audience can find your courses’ landing page. Maybe they can unexpectedly hear the course from others or click on an advertisement somewhere on Internet. Maybe they come from your email newsletter of an article on a blog post. The major thing is, what they do when they get to your landing page and how they can become your students. The purpose of landing page is persuade audience to sign up for your online courses (even if the course is free). Therefore, in the sale page, you should use different sentences and words to motivate them to download. However, it’s important to use the words carefully. Every word should contribute to achieve the goal of selling courses. The users experience will decide their decision to click escape or stay in the page. Nobody wants to read the whole wall of text. It’s the truth that no user can have patient to capture every single word that you wrote on a wall of text. Instead, they will scan the paragraphs and pick out individual words and sentences that they are impressed. These words might help them determine whether your offer is worth or not. Therefore, before writing the content, remember to outline how to make your page skimmable. Not all the words on your landing page have the same importance with others. Each part will bring different purposes to the readers. For example: the headline will be the first impression to audience while the benefits part will help them know how the course make their lives better or call-to-action to know how to claim resource. These elements will be displayed as text on your landing page. However, they should be illustrated to get users attention and appeared friendly with reader. Normally, people always enter to a page through the headline, then scan for bold and italicized words and save the rest for last. The order of these elements may be different with each course, but in most cases, the creators need to include all of them in a sales page. 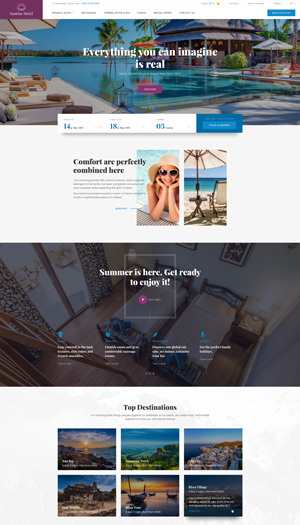 They are basic content that users always want to know in a landing page. The purpose of headline is attract audience’s attention and keep them around with your landing page. It’s supposed to be the most important thing which decide that the visitor can stick with your work or not. With the headline, you don’t need to mention your course. Instead, try to think of how you can keep the audience to read the rest of your content. Qualify your audience with headline. Make it obvious who the headline is for which gives them chance to determine if your courses are relevant to them. I highly recommend to start a headline with bold line of letters at the top of landing page. You can refer why your offer is better than competitors, what is the biggest benefit of students of this courses, etc. The next mission after getting the audience’s attention is presenting the problem regarding to the courses. In this section, you should focus on showing reader that you totally understand their difficulty or problem. It will help you build sympathy and trust with your customers. If you ever have experienced in the same problem before creating the courses, don’t forget to share with your readers. The audience will gradually trust in you and feel that you will help you figure out their problems which will create motivation for them to keep around to the next sections and buy your courses. Remember that they not only buy your course but also buy the transformation. Help them to determine the transformation before you actually introduce your courses to them. A landing page for selling courses should indicate the features of your courses, main benefits that audience can get if taking the courses. It would be better if you list about 5 to 10 major things in the list. Due to the habit of skimming the sales page before actually reading of readers, it is recommended to make this section easier for skimmers to find out what you want to talk. Therefore, you can start with bullet points instead of hiding important words in long paragraphs. Be careful, think of what you need to show to the readers and carefully stylize your text. I highly recommend the bold style, don’t use underline or italics. In this section, you can show your course details and all information included in the courses. It can be modules or videos and tell reader about content of the module/lesson. Remember to concentrate on the content with specific benefits. At the end of this section, try to put the call-to-action to encourage readers to sign up. This part will be a short phrase which is incredibly important part of your landing page. Some businesses have remarkable change in conversions rate by simply adjusting one word. In the call-to-action, you can consider to emphasizing the benefits that they can get. Besides providing the above information, you can present some bonus materials coming along with the online courses. Maybe this is exclusive from this landing page which will convince audience to sign up through it. Attaching bonuses with the online courses will add much value to the courses. The readers will find out that the online courses are more valuable than the amount of money they need to change. Therefore, this will be a motivation that drive them to learn with you. Introducing testimonials from previous students will be remarkable evidence for the readers that your online courses are excellent as you describe. This part is from the third party, not from your words. By experiencing above section, the audience will generate awareness about your online courses. The testimonials are third-party validation of what you offers to be on its promise. Remember that never use fake testimonials. If you don’t have any testimonials yet, you should consider giving free access/trial for others in a group. With each online courses, an important information the readers would like to know is the instructor biography. You should answer the questions: who is the instructors and why should student need to learn from you. In this section, try to give all proof of your achievement in previous teaching experience. It’s necessary to prove the audience that you have knowledge and experience on teaching about this topic.